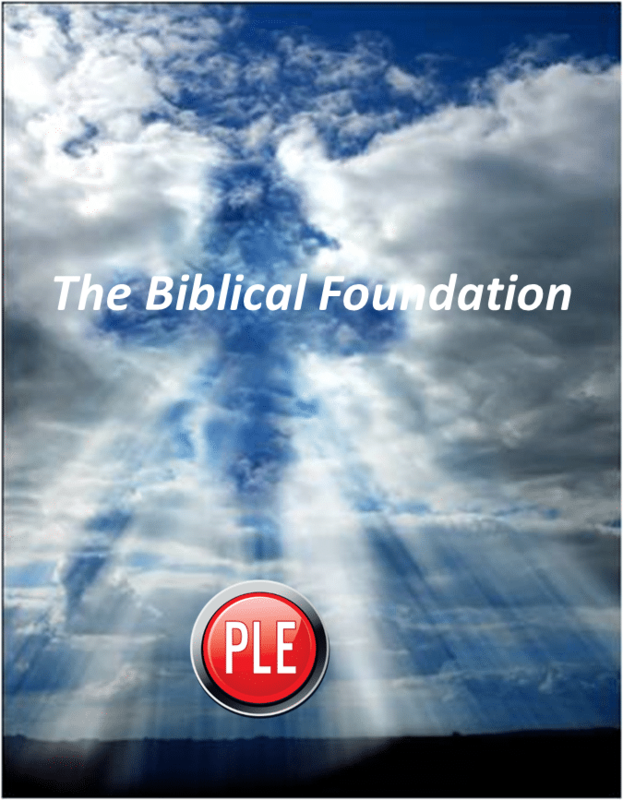 Transformative Character-Based Solutions, rooted in God’s Word, MUST penetrate ALL LEVELS of the organization. Empowers faith-based professionals with the strategy, solutions and the tools they need to help for-profit and non-profit organizations maximize their vision, mission and purpose. Improves the predictability of Human Capital decisions that impact an organization’s culture, talent acquisition, employee development and employee retention initiatives. 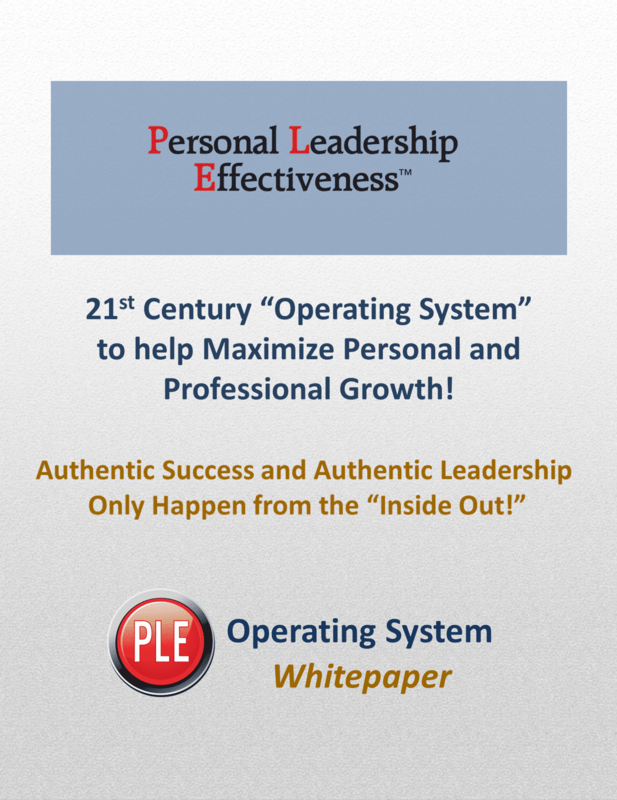 Transforms the culture of an organization by providing an integrated process to establish, develop and sustain a PLE Culture that is rooted in a Character-based foundation. What happens inside an Organization’s walls penetrates outside into our Families, Communities and Culture at-large. Organizations today are faced with numerous challenges regarding their Executives, Managers, Supervisors and Employees, properly referred to as Human Capital. Please review the four brief videos below that address the challenges organizations are facing regarding their culture, talent acquisition, employee development and retention initiatives. Human Capital (People) will always positively or negatively impact an organization’s Vision, Mission and Purpose, as well as its overall performance, productivity, team effectiveness and bottom line results. Transforming the Culture of any Organization requires Assessing and Developing the Character and Behavior DNA of its Executives, Managers, Supervisors and Employees. 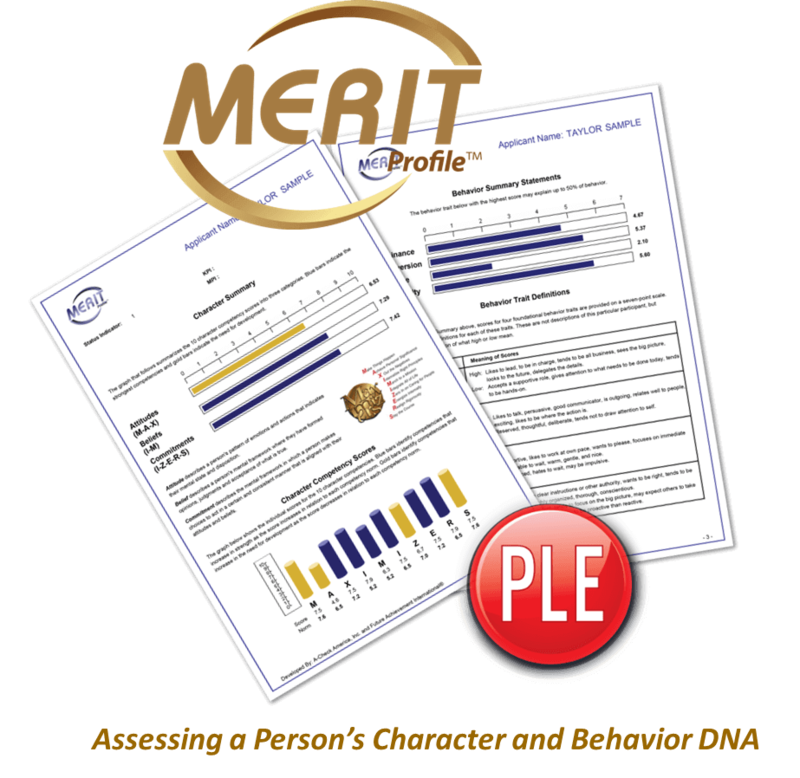 Since 2006 the MERIT Profile has been utilized globally by hundreds of for-profit and non-profit organizations, and thousands of their members. Please review the brief video below to gain valuable insights regarding this unique, relevant and timely “psychometrically validated” assessment tool. 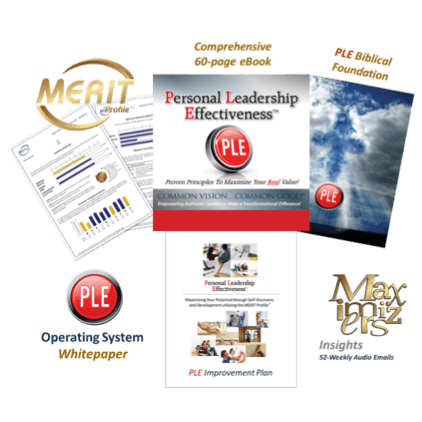 Everything Rises or Falls on Personal Leadership Effectiveness. your full potential and desired level of success! Educational Institutions and Communities worldwide since 1996. Please send me a complimentary copy of each document that unpacks 10 Character-Based Leadership Principles rooted in God’s Word that will help me improve my overall Personal Leadership Effectiveness, personally and professionally. 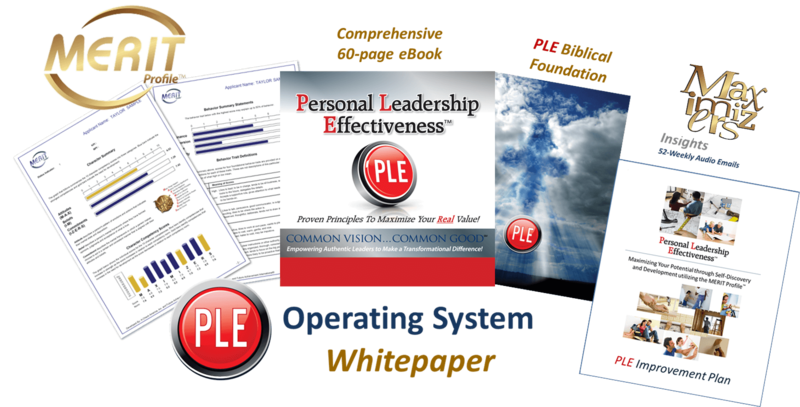 Two “Special Offers” have been prepared to engage Men and Women of Faith that desire to improve their overall Personal Leadership Effectiveness. Please click on the link below the graphic display to review each special offer.